Along the way, these courses appear to prepare you for the Associate certification for ‘AWS Certified SysOps Administrator’. 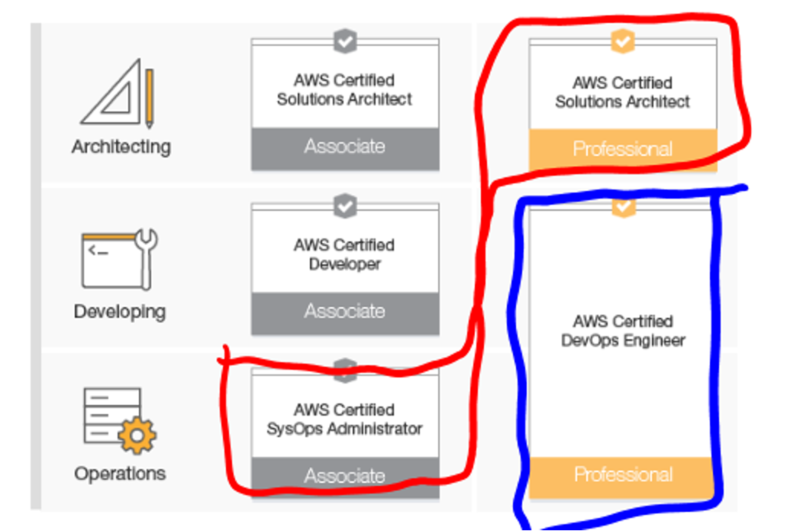 Since I will also be pursuing the AWS Certified DevOps Engineer I don’t think I will be sitting for that exam unless it is truly a pre-requisite in order to sit for the AWS Certified DevOps Engineer exam. Khnaser’s courses prepare you for the certifications highlighted in red while Pfeiffer’s courses will prepare you for the certifications highlighted in blue.